Shock headlines around the negative effects of prolonged sitting have linked it to health conditions ranging from cancer to depression and likened it to smoking in terms of its potential impact on the nation's health. Hyperbole or a serious emerging health issue? Catherine Christie gets to the bottom of of the problem of spending too much time on our behinds. If you're reading this while sitting down, you might want to get up. Research is increasingly showing strong links between spending too much time sitting and the development of severe long- and short-term health problems. 'Sitting Disease' is even being compared to smoking due to links with chronic diseases. While this may sound extreme, its impact on staff is of growing concern in workplaces – particularly those offices where desk workers sit for eight hours a day. The term 'Sitting Disease' has been coined by medical experts to refer to the effects of an overly sedentary lifestyle. Long periods of physical inactivity are well known for contributing to muscular and skeletal pain and disorders, back pain, and shoulder and neck pain. But now it is being blamed for killing people prematurely. It is not recognised as a diagnosable disease, yet a growing body of research shows that prolonged sitting increases your risk of heart disease, Type 2 diabetes, high blood pressure, chronic obesity and some cancers. The negative effects of sitting are found to be just as strong in people who exercise regularly. Dr Emma Wilmot from the University of Leicester explains: "When we sit for long periods of time, enzyme changes occur in our muscles that can lead to increased blood sugar levels. The effects happen very quickly, and regular exercise won’t fully protect you." The latest research, published in June 2014 in the Journal of the National Cancer Institute, showed that every extra two hours spent sitting was associated with a 10% increased chance of developing cancer of the womb lining in women, while bowel and lung cancer risk was raised by 8% and 6% respectively. It builds on a 2013 study that found people who spend more than four hours a day sitting down are at greater risk of chronic illnesses such as cancer, diabetes and heart disease. Research published in the British Journal of Sports Medicine in 2010 recommended: "Prolonged sitting should be considered within occupational health-and-safety policies and practices just like other elements of posture." The immediate benefits to employers are clear: The average firm of 250 employees loses £4,800 per week due to sickness absence and the most common cause of sick days relates to musculoskeletal problems, typically back or neck pain (ONS). Standing up more is also believed to boost productivity and well-being. 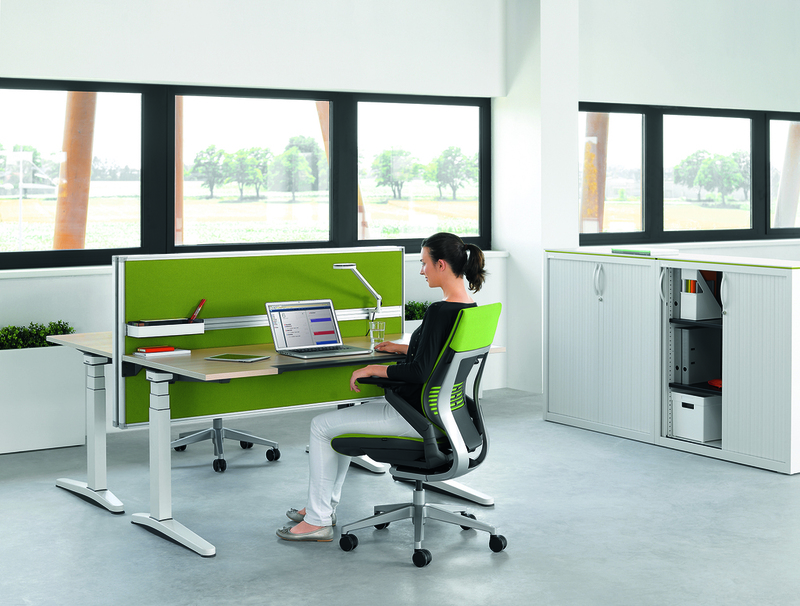 A 2011 study by the Centers for Disease Control and Prevention showed that, when workers were equipped with workstations that allowed them to alternate between a seated and standing position, their mood improved; participants claimed they were more energised, focused, productive, happier and less stressed. This could have big implications for workplaces – in 2013, 15 million work days were lost to stress, anxiety and depression (ONS). Experts believe even the smallest movement every hour – like standing up for a few seconds or going over to talk to a colleague rather than sending an email – stimulates your metabolism and restarts your body. Posters placed around the office can provide visual reminders to staff or fun initiatives can influence behaviour. For example, Workplace Challenge – a free online platform enabling people to log their physical activity and compete against fellow workplaces – will run from 23rd July for six weeks (www.workplacechallenge.org.uk). Where good intentions are not enough, devices designed to encourage staff to sit or stand can be incorporated into the workplace. 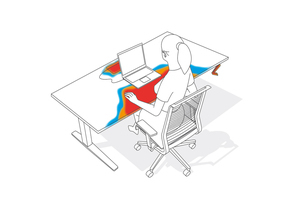 The best option for most will be to combine sitting with standing by using an adjustable sit-stand desk. This is because standing desks may not be suitable for those with lower-back problems or varicose veins and desks attached to treadmills that encourage walking while working will be both impractical in many work sites and expensive. Other inventions include the Back App training apparatus and chair, which enables you to exercise while sitting by keeping your muscles moving constantly. Across Norway, Sweden, Finland and Denmark, over 80% of office workers using computers work at sit-stand desks while, in Britain, it is less than 1%, according to campaign group Get Britain Standing. VM Turbo, a software firm in Fleet, Hampshire, is one of these few. Speaking to the BBC, the company's Georgina Hurst explained the benefits of replacing standard desks with 12 high tables (£350 each) and chairs (£70 each). "We do 150-200 calls a day per person. We decided that if we are standing, we'd be able to project our voices better. We probably stand 40% of the time, sit 30% and walk around the office 30% of the time. No-one has said they want to go back to the old desks since we converted the office." While research suggests reduced sitting can help create a happier, healthier and more productive workforce, most organisations will likely require overwhelming evidence linking 'Sitting Disease' to health issues before taking further action. This is understandable. Implementing sit-stand solutions can mean rethinking architecture, spending a lot of money, and changing an office routine that some workers will want to keep. That said, employees can still be encouraged to move around more by making small adjustments. 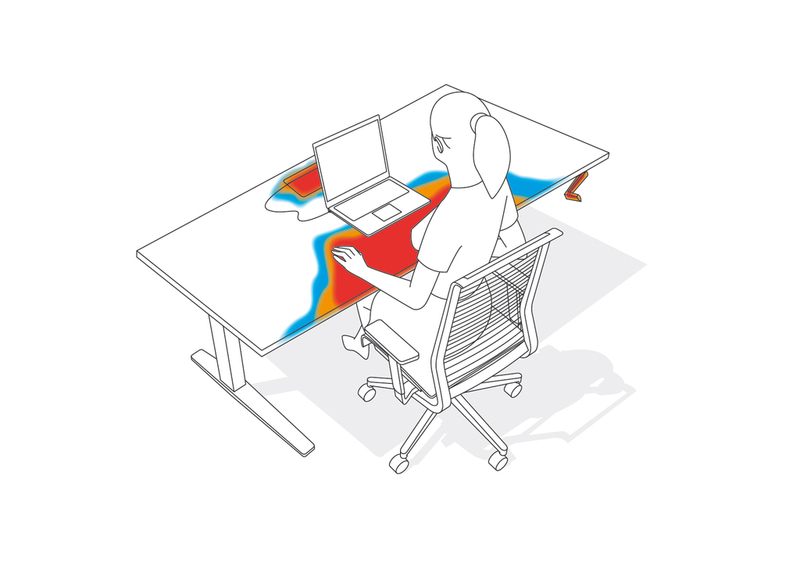 "We need to think of sitting like driving," ergonomic expert Alan Hedge says. "Take a break regularly." Employee assistance programmes "can drive wellbeing strategy"
Could rail system revolutionise worker safety?